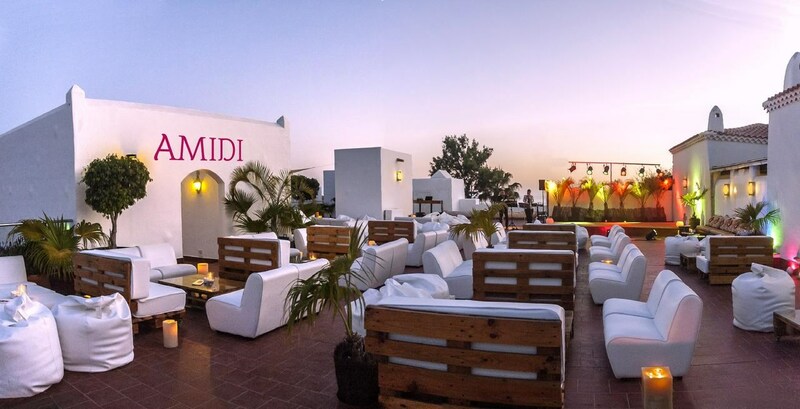 Set on a clifftop, 500 metres above Playa de Santiago and commanding breathtaking views over the ocean, the Hotel Jardin Tecina offers a unique atmosphere and ambience. Retaining an intimate feel, well-appointed rooms are located in small groups of low-level buildings linked by meandering walkways. 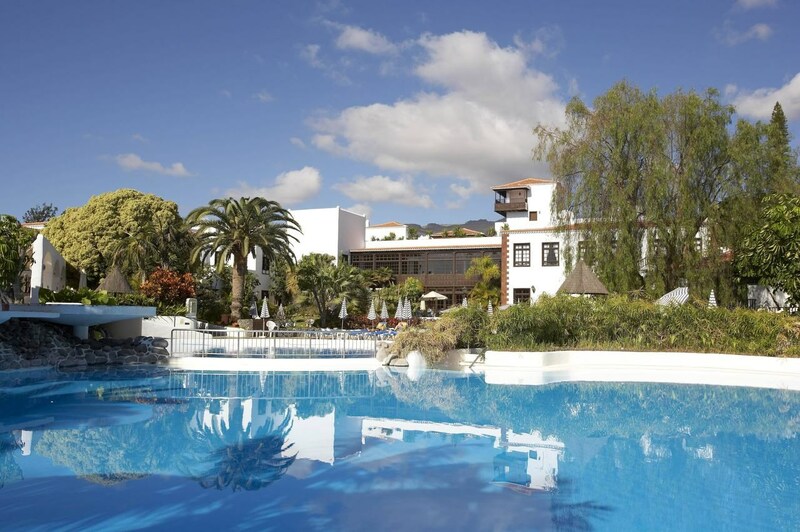 This peaceful, Canarian village-style Fred Olsen hotel is laid out in beautiful grounds, with large subtropical gardens and impressive floral displays. 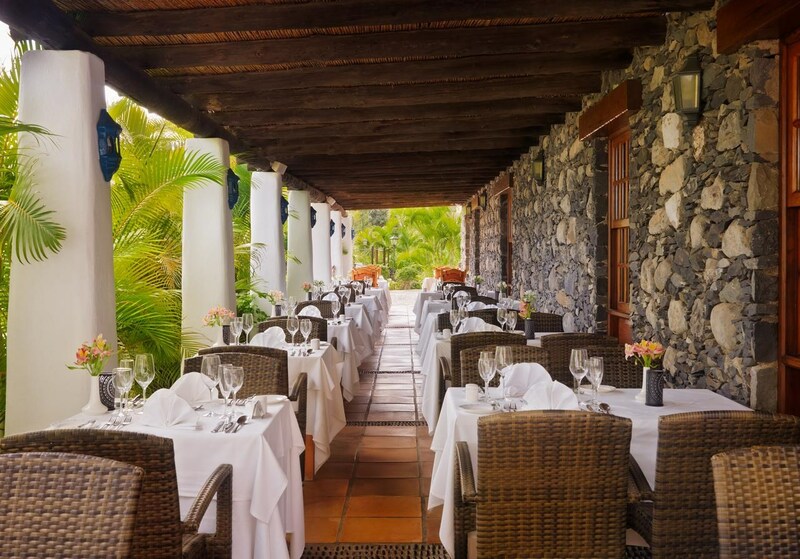 A choice of superb restaurants and a full range of facilities ensure that there is something for everyone. 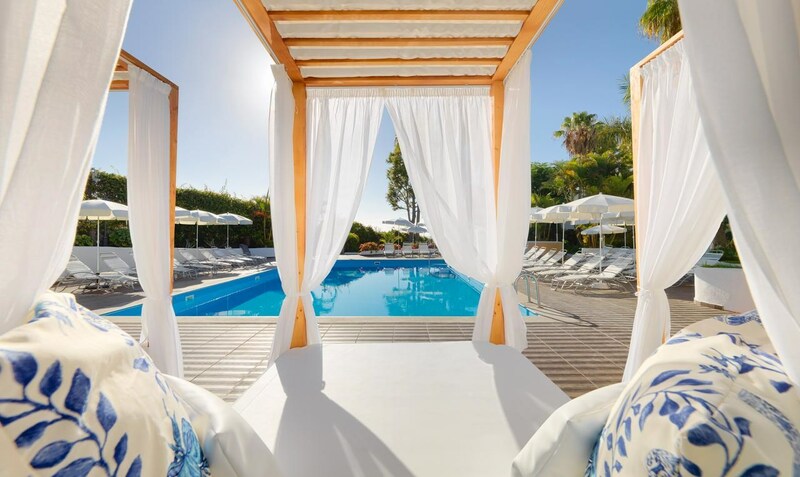 A lift takes you to the Club Laurel, located on the shingle beach, where there is a seawater pool, chill-out area with Balinese beds, à la carte restaurant and open-air barbecue; all perfect for cultivating a true state of relaxation. 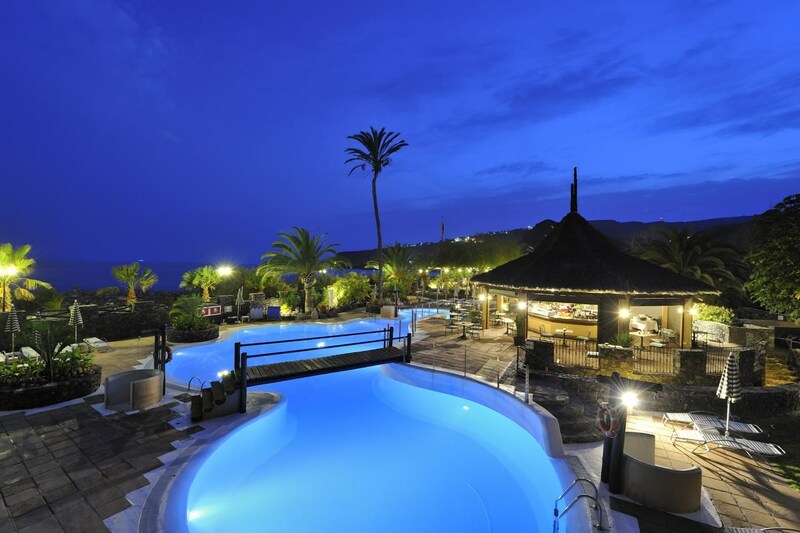 Children will love the splash pool with inflatable slide whilst adults can relax at the new Chill Out Terrace Amidi. Adults can also try the new Spa Ahemon, perfect for relaxing an indulging in a treatment or two. 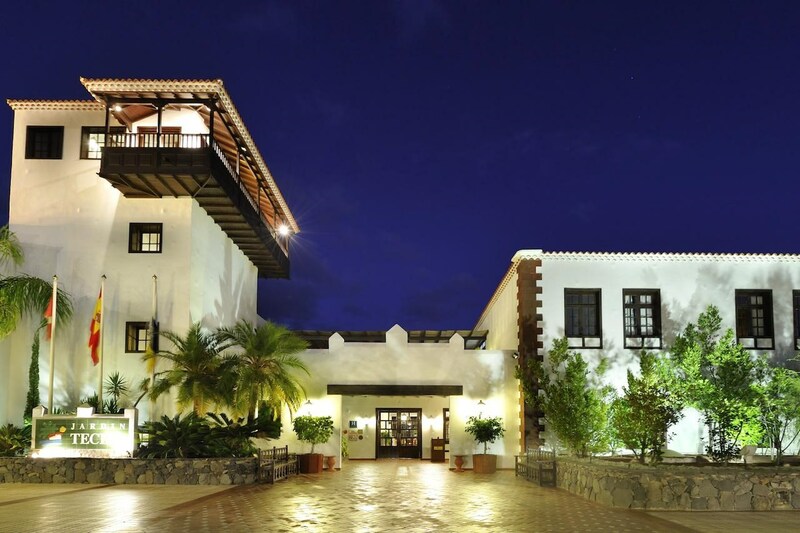 Located near the beach, this family-friendly hotel is within 20 mi (32 km) of Garajonay National Park, La Cueva Beach and La Laguna Grande Visitor Center. Torre del Conde Monument and Insular Infanta Cristina Auditorium are also within 20 miles (32 km). This hotel features 4 restaurants, a full-service spa and an outdoor pool. Free buffet breakfast, free WiFi in public areas and free self parking are also provided. Additionally, a fitness centre, a bar/lounge and a swim-up bar are on-site. 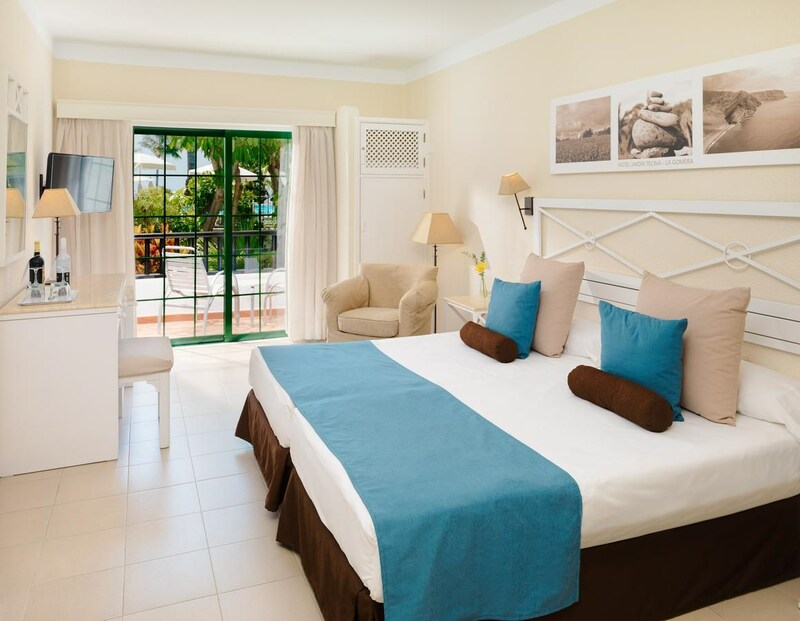 All 434 properties offer free WiFi, minibars and TVs with digital channels. Guests will also find room service (during limited hours), hairdryers and phones. 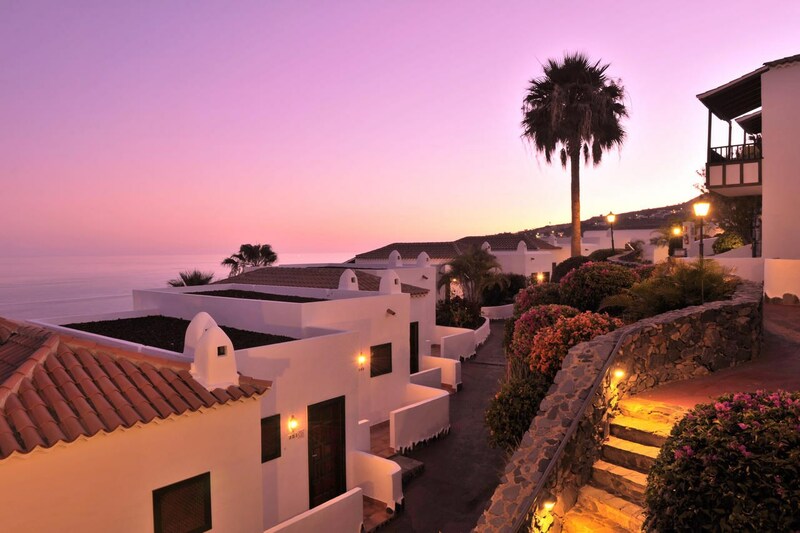 The island of La Gomera is not just an island, it´s a treasure, one of seven that make up the Canary Islands. 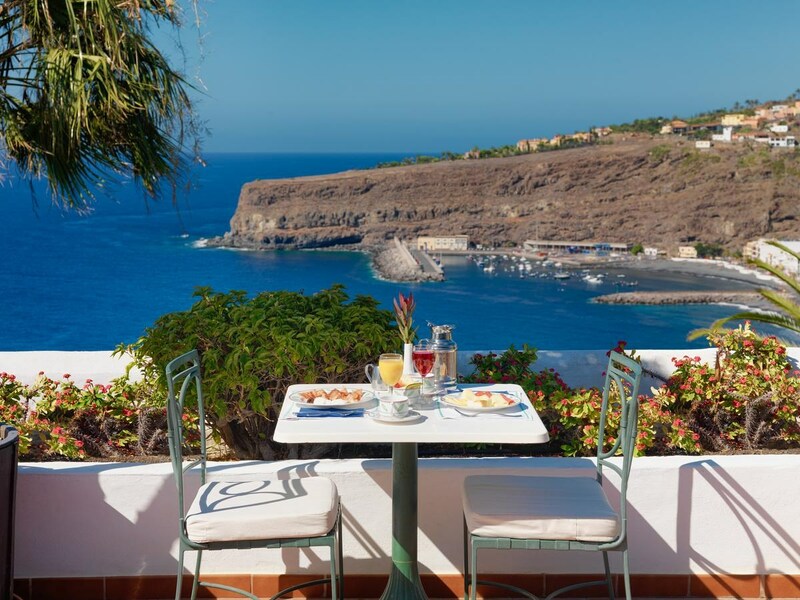 Bathed by the cool waters of the Atlantic Ocean, the island of La Gomera is an idyllic paradise of subtropical climate between the Africa continent and Spain. 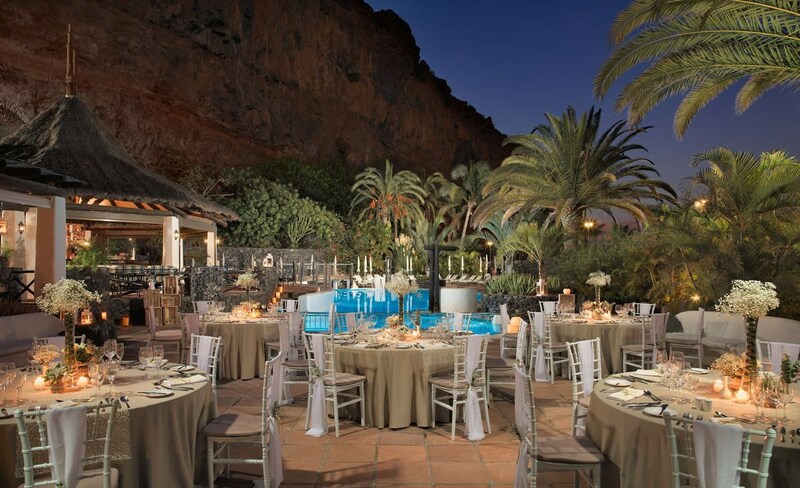 La Gomera island itself, its features, are an invitation to delight and exhilarate, a simple and always wise choice. The Garajonay National Park, World Heritage, guarded by flora and fauna, symbol of the volcanic nature still unconquered; or its sternal spring weather that invites you to free your skin, to adventure, to melt your fingers with sand beaches. 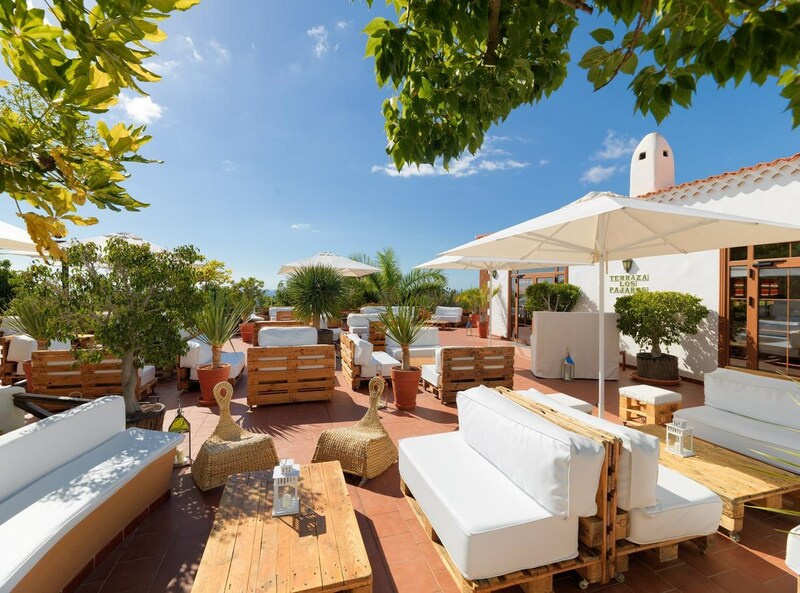 Further south in this paradise, hidden among beautiful and magical gardens, crowning the quiet town of Playa Santiago, you will find a true Eden, Hotel Jardín Tecina. A blank canvas, Hotel Jardín Tecina is a unique and chameleon space, its environment offers our guests the opportunity to draw, to capture holiday moments with a varied palette of possibilities and colours: nature, sports, relax, leisure. The limit is your imagination and imagination has no limits. From the top of a cliff Hotel Jardín Tecina provides a dream scenario that will thrill your senses: saltwater breezes rocking your hair, the taste of salt caressing your lips, the melodic hum of the waves off the coast of Playa Santiago melting in harmony with the singing of shearwaters at dusk, the extension of an endless sea that will take your breath away. Hotel Jardín Tecina distills life, reddish paths will lead you to its mysteries, its heart, a botanical garden of 70,000 square metres, a living museum adorned with more than fifty species of plants from around the world. 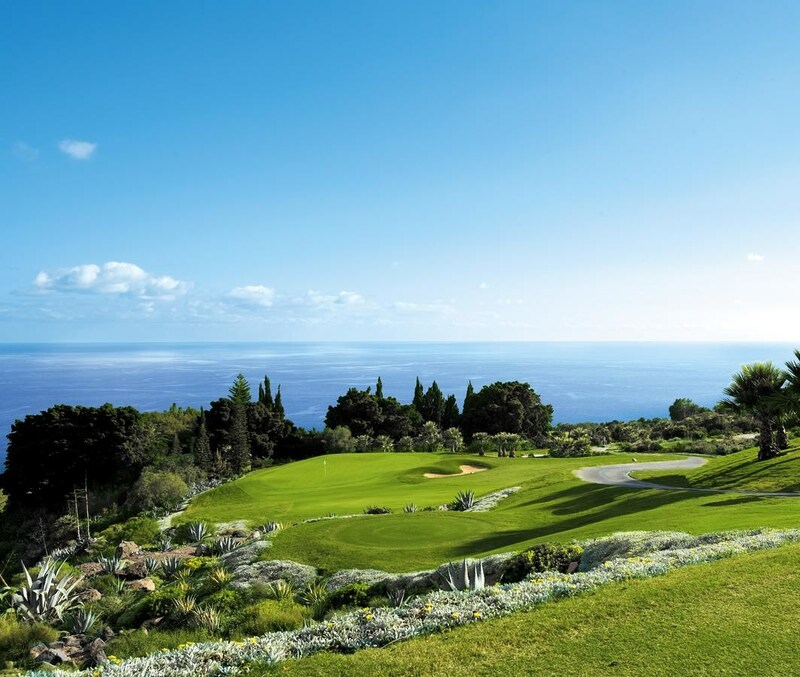 Tecina Golf La Gomera is rated as one of the top ten golf courses in Spain. A course to fall in love with this sport, which challenge you as a player. 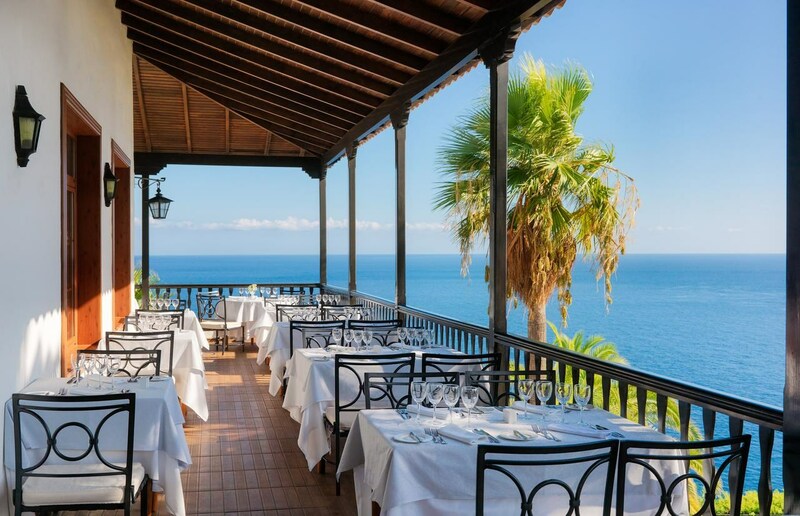 Located in the southern part of La Gomera, on top of a cliff, with exceptional views from any point of it, the Atlantic Ocean and Mount Teide, one of the largest volcanoes in the world that crowns the neighboring island of Tenerife. A unique setting for the enjoyment this sport. With a semitropical climate, La Gomera has an average temperature of 23 degrees, allowing the practice of this sport throughout the year. 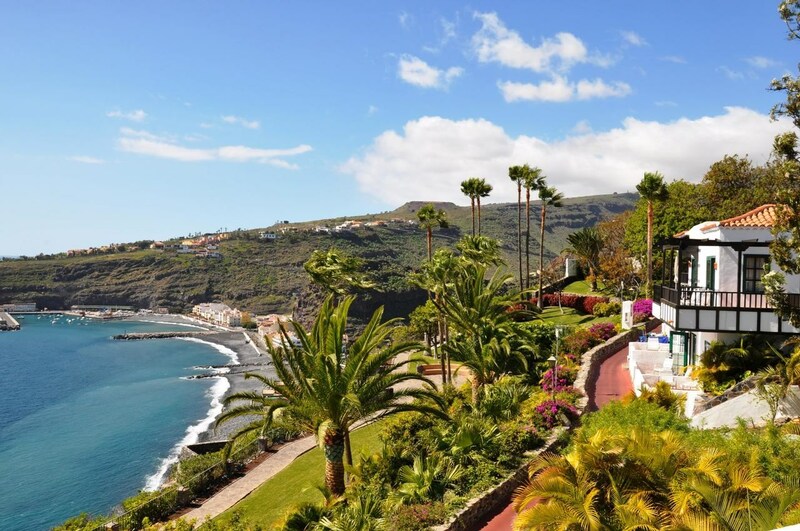 Of the seven Canary Islands, La Gomera is one of the smallest. Also on of the island with the most natural and well preserved flora and fauna, and in many cases unique and volcanic character. 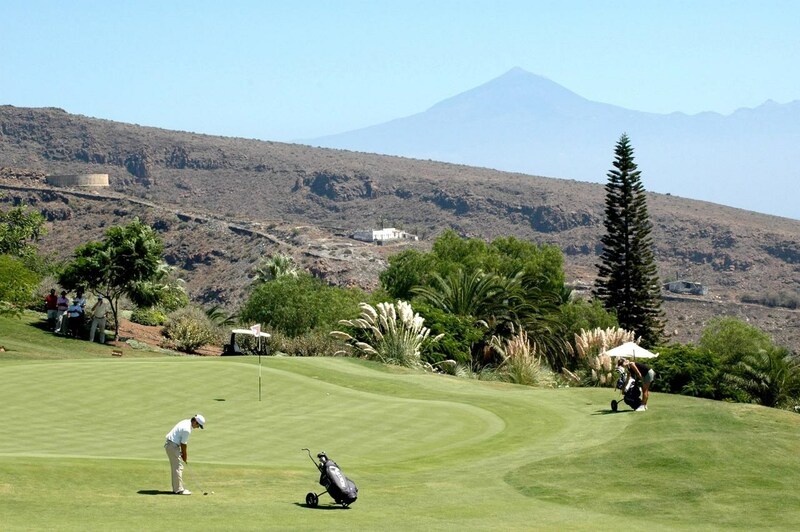 The Tecina Golf is designed by one of the best golf courses architects nowadays, Donald Steel, which gives the space an ideal, versatile and comfortable way to play, a piece of art made for players enjoyment. Thanks to the hands of experts and modern technology, Steel has managed to create a world class golf course . To offer the best conditions possible sand was imported from Africa to cover the fairways, greens and tees. 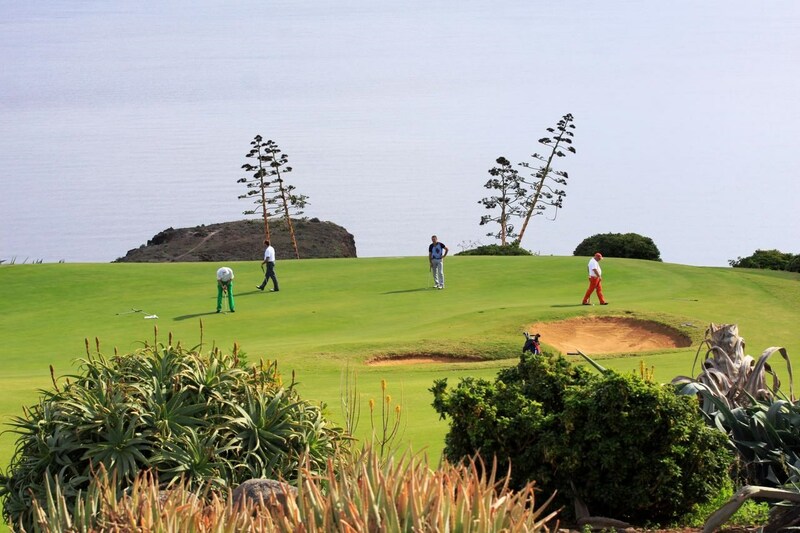 In total Tecina Golf offers 18 holes (par 71) overlooking the sea. A golf course made to enjoy your game. The course is unique in that it plays, rather like a ski run, all of the way down a dramatically sloping hillside (there is 175m of elevation change from top to bottom), providing the golfer with an almost continuously downhill golfing experience. This means that the sea is in the view of the golfer on every hole, a claim that not many other courses around the world can match. 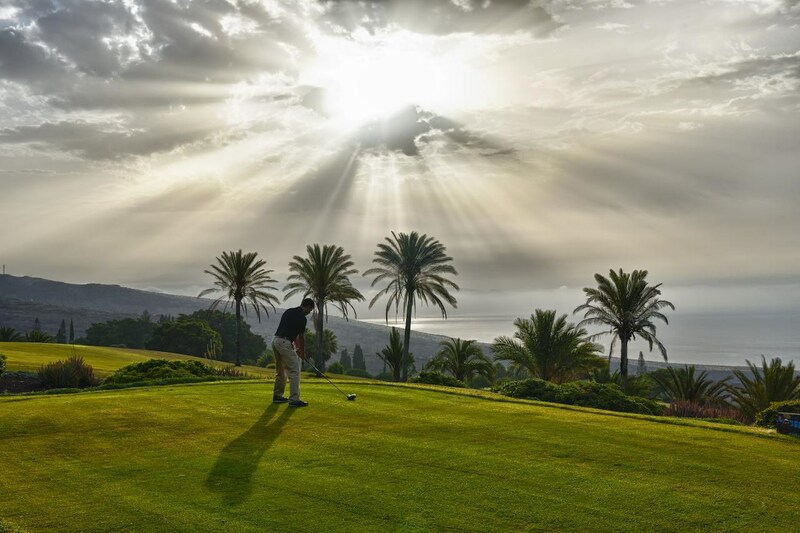 Bearing in mind the fact that the majority of golfers will be tourists wishing to enjoy a friendly game of golf, the landing areas of the holes have been designed to be wide and accommodating. However, the best golfers will be tested by having to position their shots in the right parts of the fairways and greens to gain the most advantage.